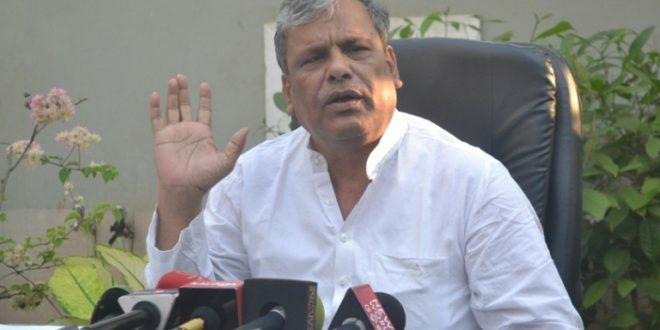 Bhubaneswar: Former Union Minister Srikant Jena was dropped as the chairman from the poll manifesto committee of the Odisha Congress on Thursday. Congress leader Ganeswar Behera replaced Srikant Jena as the chairman of the 10-member manifesto committee, which was announced by the All India Congress Committee (AICC) on Thursday. Besides, Leader of Opposition (LoP) Narasingha Mishra, party senior leader Prasad Harichandan, Sudarsan Das, Shyam Sundar Hansda, Meri Surin, Natabara Khuntia, Liaqat Ali and Satya Prakash Nayak have been appointed as members of the committee. “Congratulations to all the newly appointed members of the Manifesto Committee for Odisha Vidhan Sabha Elections, 2019. Let’s work together to give the people the best manifesto which will capture the vision of the Congress party for a new glorious Odisha,” Patnaik tweeted.